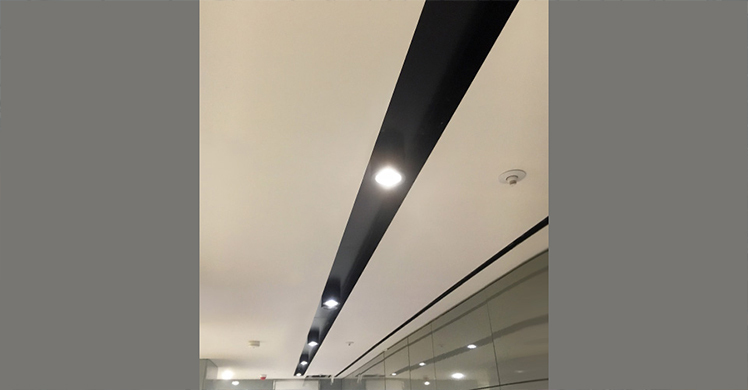 Recently supplied to several prestigious projects System Canal is a linear, trimless product suitable for plasterboard ceilings. Extruded aluminium and steel components ensure a strong, straight and neat appearance that is easy to install. 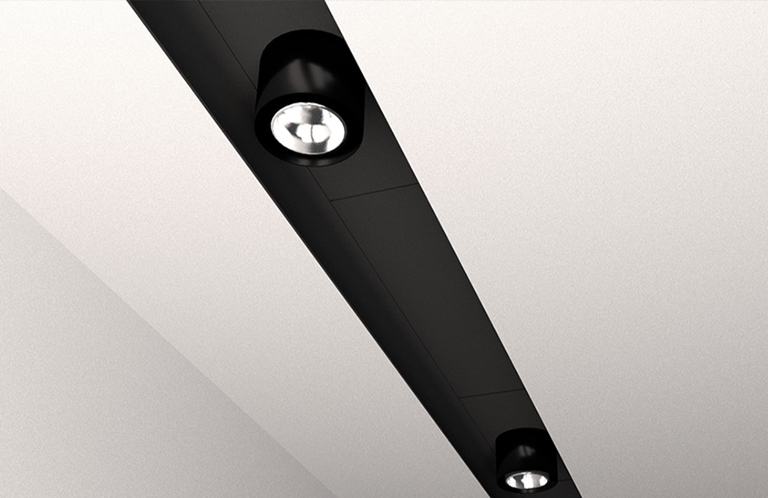 System Canal offers more than one lighting solution: downlighting, accent and spotlighting and cove lighting. System Canal can also house PIR and motion sensors, smoke detectors and sometimes sprinklers noses. Because through-wiring is feasible speakers and cameras are also a possibility.